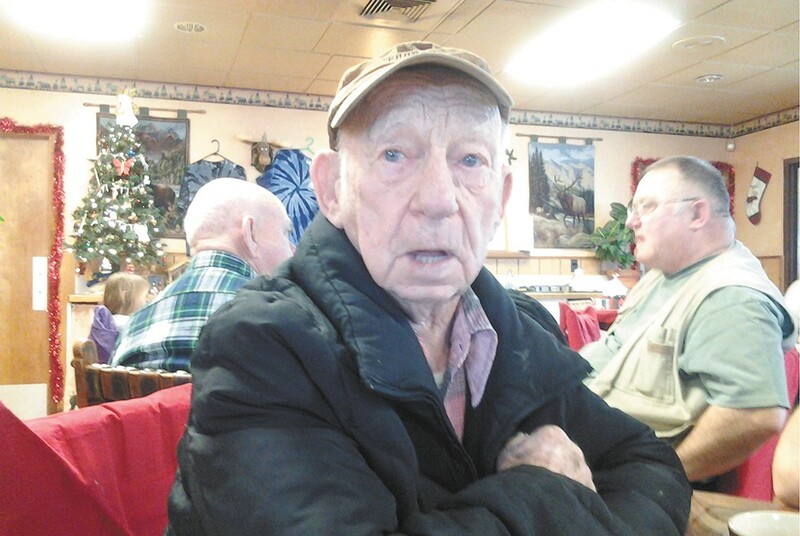 A photo of Delbert Belton that police recovered from his cell phone. He liked tall blondes. And short ones. And brunettes too. Before he died in August 2013, Delbert Belton, or "Shorty" as his friends called him, loved to dance. It didn't matter with whom. On Saturday nights, he'd walk into his favorite spot, an old country bar in Mead called the Lariat Inn, no taller than 5 feet in jeans and cowboy boots, hand raised level to his forehead like a sea captain or a prospector. Mar Kloepfel, one of the cooks, called it his "Indian look" — surveying his surroundings, searching for treasure. Then, with a cheeky grin and a twinkle in his eye, he'd approach a single lady at her table, hold out the palm of one hand and point the other toward the dance floor. He may have been 88 years old, but no woman ever turned him down. 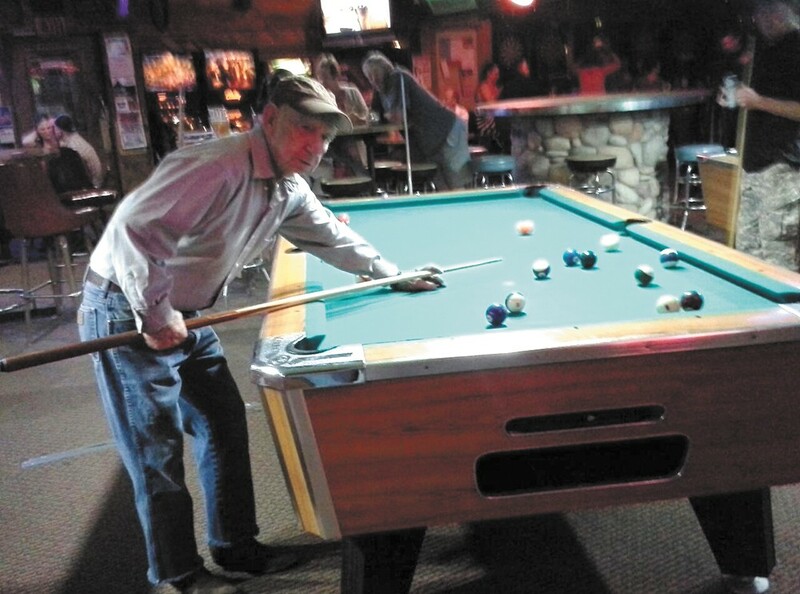 So it was a shock to those who knew him — particularly the Lariat's Saturday night crowd — when the news unspooled that Belton had been left for dead at the Eagles Lodge parking lot, bleeding and barely conscious. Police found him in his dusty, green 1995 Ford Contour, hardly recognizable, wedged between the front seats with his head on the console, left leg tangled in a seat belt. Belton died the next morning at Sacred Heart Medical Center. His funeral was closed casket. One of the suspects in Belton's murder, 17-year-old Kenan Adams-Kinard, pleaded guilty on Wednesday. Following Adams-Kinard's plea, the trial for his co-defendant, 17-year-old Demetrius Glenn, was pushed back to March 10. Police characterized Belton's death as a strong-arm robbery turned fatal. Belton, a World War II veteran, most likely fought back. The sad irony, his friends and family say, is that he was generous to a fault, a fact, they worried, that some of the ladies he knew took advantage of. He worked on his neighbors' cars for free, and he once let a down-on-his-luck buddy move into his Hillyard home with him. On the afternoon of his beating, he was helping restore a friend's son's baby-blue 1965 Chevy pickup. That was the kind of guy Belton was — "just a peach," his former brother-in-law Roger Day would say, "a peach of a guy." One of 13 children, Belton was born in 1924 in Sunnyside, Washington, where his parents worked in the hop fields. Before his family moved to Spokane, he spent much of his childhood living in a cabin on a mountain top in Ford without indoor plumbing or electricity. As a young man, he joined the Army at the start of WWII and fought in the Battle of Okinawa. He was wounded overseas and returned home a different man. "Shell shocked," his nephew Steve Belton remembers. He got a job at Kaiser Aluminum and worked his entire career there. Sometime after he got back from the Pacific, Belton fell in love with a woman, Myrtle Alice Day, and got married. Roger Day says his sister was a real "peach," too. At the Lariat, they called her "Giggles" because of her beautiful and unusual laugh. 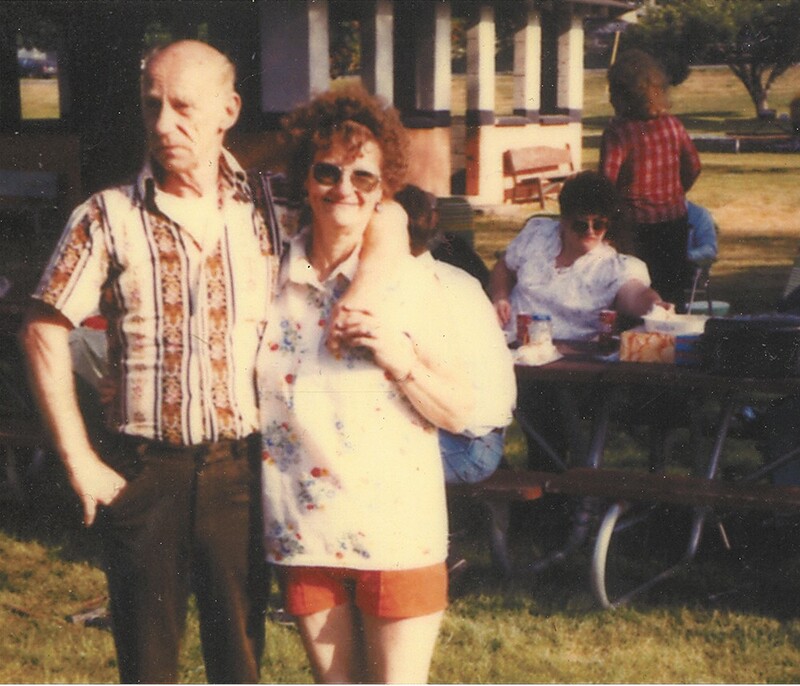 For more than 20 years, she and Belton would have their morning coffee there. She took hers with cream; he added a pinch of Sweet'N Low. Years later, no one knew they got divorced because they never stopped dating. As his nephew Steve says, "he wasn't willing to let her go." They went to the movies together and watched wrestling on Sundays. In the evening, Belton would pick her up and take her out to eat at the Sportsman Cafe down the street from the Lariat until one night in 2008, when she suffered a massive heart attack in front of him at dinner. And Belton was devastated. "Stevie," he used to tell his nephew, "I am just so incredibly lonely." He didn't know what to do. When a certain song plays at the Lariat — Wilson Pickett's "Mustang Sally" or Johnny Cash's "Orange Blossom Special" — his friend Angie Saunders will remember, "that's Shorty's song." For a moment, she'll look at the dance floor and wonder where he is. Belton spent his last Saturday at the Lariat. Another night, like any other, nursing a $2 Miller High Life Light and dancing with his friends. They called his signature move the "Shorty Shuffle." It was all in the shoulders: Elbows out. Fists together. Dip to the right. Dip to the right. Dip to the left. Dip to the left. All the while, he'd tap his leather boots to whatever country-western band was playing. Belton was hard of hearing, but he didn't miss a beat. After Myrtle died, Belton still went to the Lariat every morning for coffee and sat in the same chair in the back by the register. And on Saturdays, he'd come back around 8:30 to dance. But he still missed Myrtle. He staked out a plot in Greenwood Cemetery as close to hers as he could find. He carried her picture everywhere he went. When police bagged Belton's wallet and photographed its contents for evidence, they found among the punch cards and scrap paper a black-and-white photo of "Belton, Myrtle A." snipped from the obituary page in the newspaper.